Home › Uncategorized › We Were Right. Healthcare Graphics Do Need Help! It sounds exactly like one of our “Healthcare Graphics Need Help” columns, doesn’t it? Robert Aunger (who has written several books on interesting topics) goes on to narrow down what’s been tried and doesn’t work from a behavioural science point-of-view. He doesn’t say what does work – other than that nothing we’ve tried so far works everywhere – but does lay out things that successful hand hygiene promotion should do if it hopes to minimize resistance. Why does all of this interest us? Over a year ago, we wrote a blog post called “What Can Hand Hygiene Learn from Fire Safety?” In it, we talked at length about the value that a public health campaign has when it gets everyone invested in protecting our own health and that of our loved ones. It’s not just the field of fire safety that’s comparable. If you think about it, oral hygiene has a tremendous impact on our society’s health. People are trained to brush and floss from a young age. Road safety systems use signage and universal symbols to bring safety to a large group – drivers – in a way that also benefits pedestrians and businesses who rely on traffic flowing smoothly and safely. The main difference in thinking between current hand hygiene promotion and this different public health approach is that the public health approach considers everybody. Children? Yup. Office workers? Absolutely! Families? That’s the fastest way to spread it! 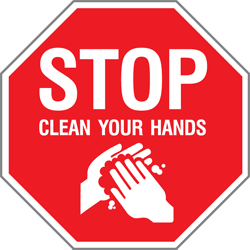 If people are performing infection control procedures (that’s what hand hygiene is!) in their day-to-day life, then society as a whole stands to benefit. There will be fewer cases of influenza, the common cold, and enterovirus. Fewer food recalls, cruise-ship outbreaks, and accidental hospital acquired infections. Of course, that includes healthcare workers. Why wouldn’t it? They are people too and people are connected to other people. Hospital visitors are connected to patients and patients to doctors. All of these are troublesome targets that current hand hygiene promotion doesn’t even like to think of. 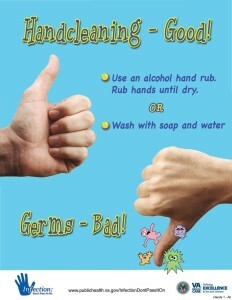 An example of current hand hygiene promotion. So in closing, we were right all along. 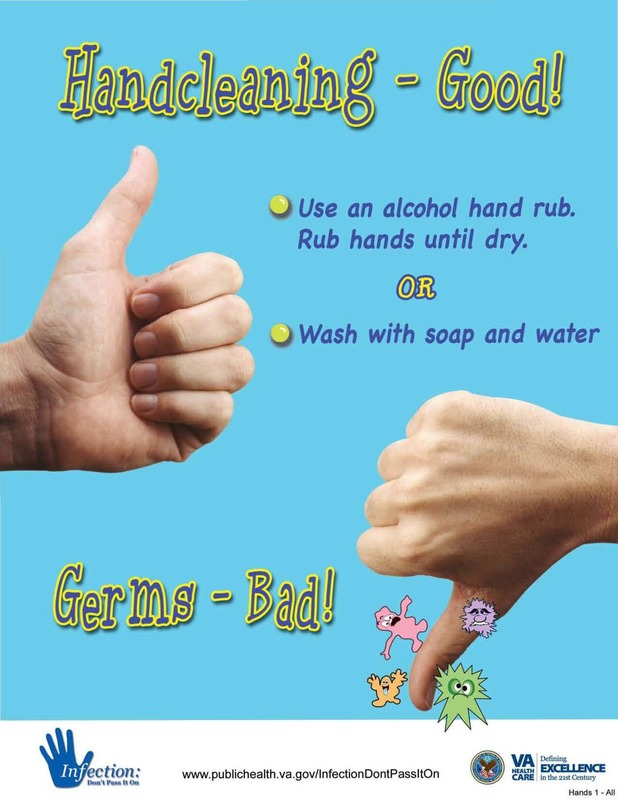 Those silly germy posters and funny hand hygiene videos are distractions – they do not promote successfully to everyone, even the groups that they claim to target. If we want to see real across-the-board growth in the field of hand hygiene, we need a broad, multi-modal, societal approach that doesn’t limit itself to healthcare. 2 Pings/Trackbacks for "We Were Right. Healthcare Graphics Do Need Help!"